there has been a lot of storage going on in my basement- over the past 13 years! Actually, this is the longest I have lived anywhere, and the assorted collected history of three people can really start to expand over time. 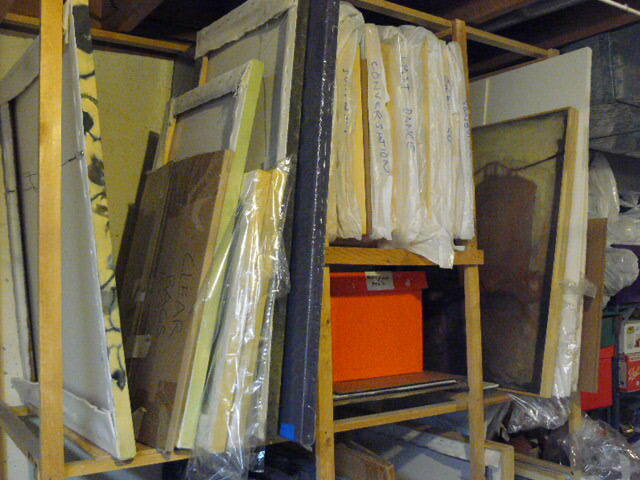 One thing that I have been avoiding dealing with is sorting through the various scraps of matboard, foam core, and framing supplies that I have been saving. 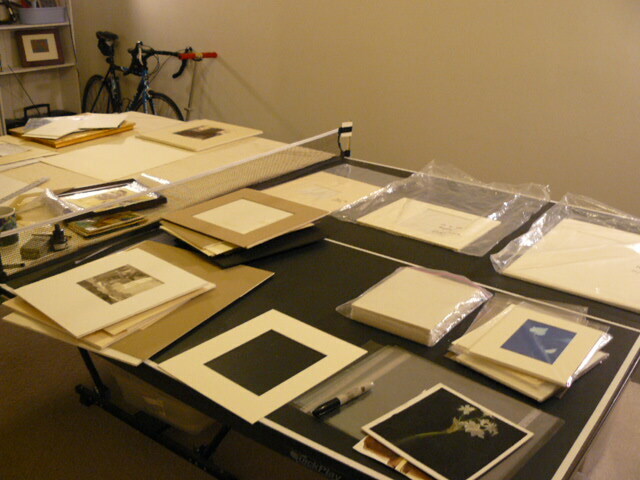 I have always done my own matting and the scraps can add up! But finally, made a start. At least we have fairly sophisticated recycling in my city, so the matboard goes with the paper board cereal boxes and other junk paper. It always seems like once you start anything like this- cleaning out a closet, garage, etc…. it always gets worse before it gets better. But at least now I have separate piles for the supplies I might hang on to, sorted by sizes and now bound for storage in some central location. There are several wooden crates formerly used for shipping paintings, now waiting to be re-purposed – they will store all this quite nicely. This entry was posted in Studio Blog. Bookmark the permalink.